I don’t know about you, but I find men the most difficult to buy for at Christmas. Am I alone? I suspect not. I’m trying to shop more ethically this year (and in general) which I thought might limit my options further. But I’ve discovered Uncommon Goods, which has loads of unique and ethical presents for men, women and children. I’m looking at ethical gifts for him in this post. We like to recycle. And Ryan loves bikes – at the last count he had three classic cycles. 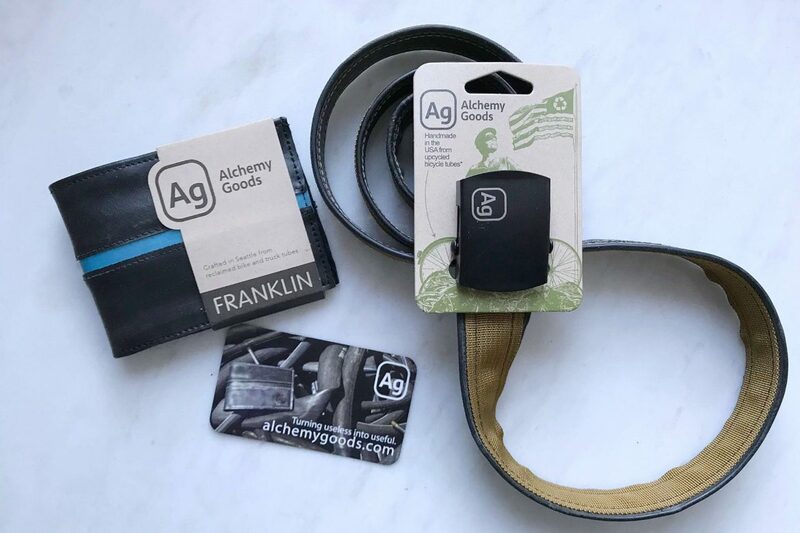 So I think this Alchemy Goods wallet and belt, made from recycled inner tubes will make an excellent gift. 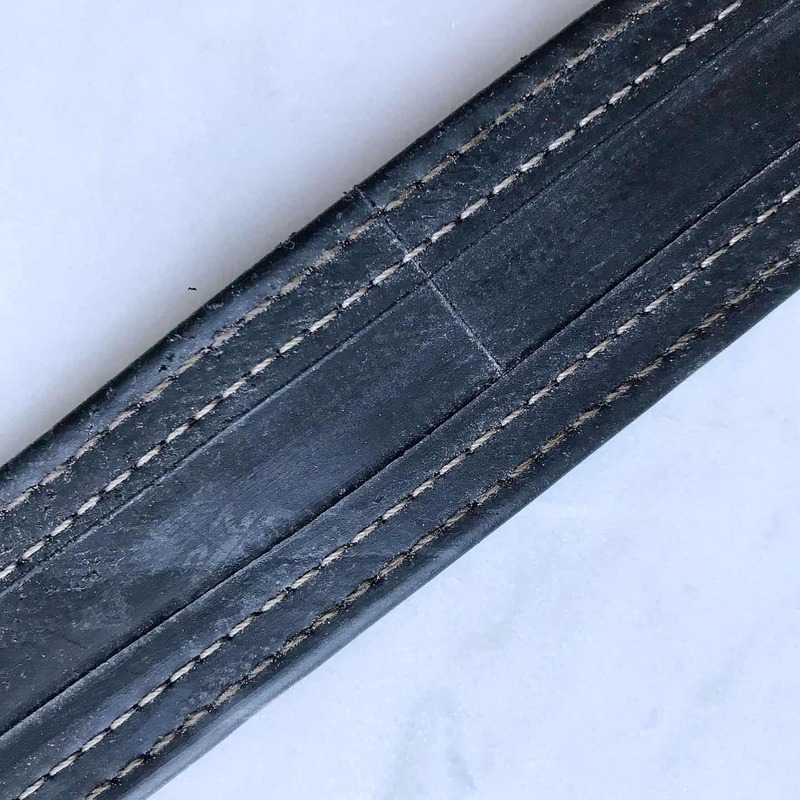 This belt (£26) is recycled from a bike tube, and is reversible, for two looks in one. It has durable inner tube material on one side and upcycled polyester webbing on the other. 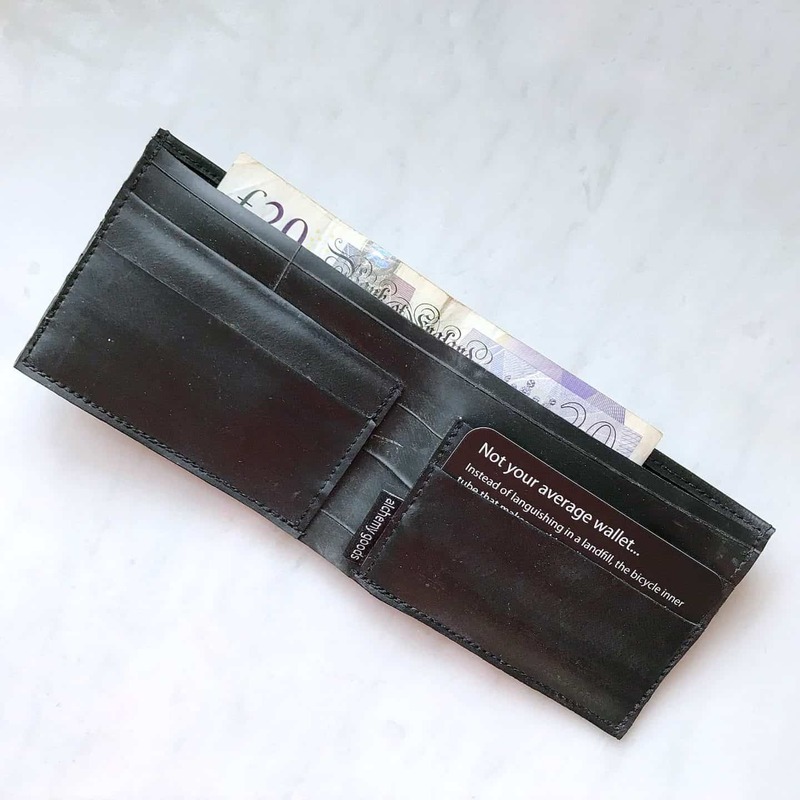 The wallet (£29) is also ethically produced from recycled inner tubes, and has a reflective strip designed to catch headlights when you’re flagging down a taxi. 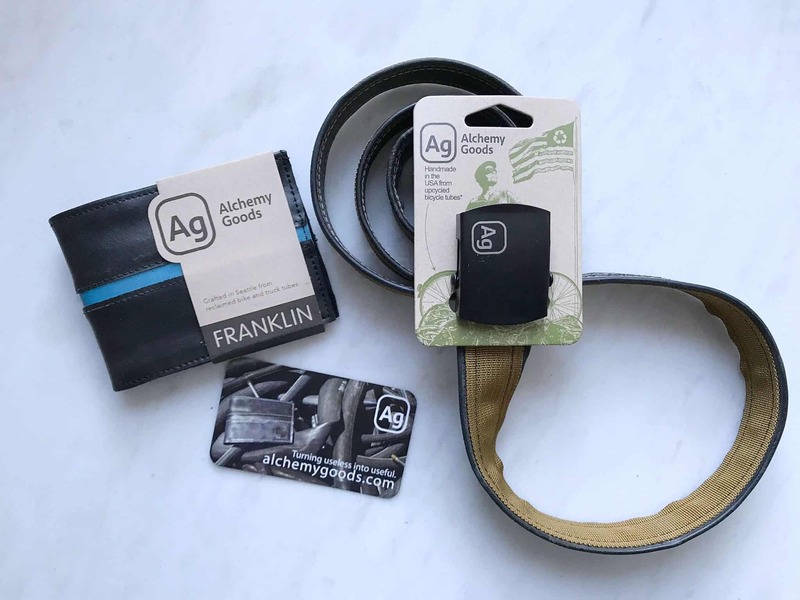 Handcrafted in Seattle, this belt and wallet are ethical, vegan alternatives to leather. I suspect they will last a lot longer too. 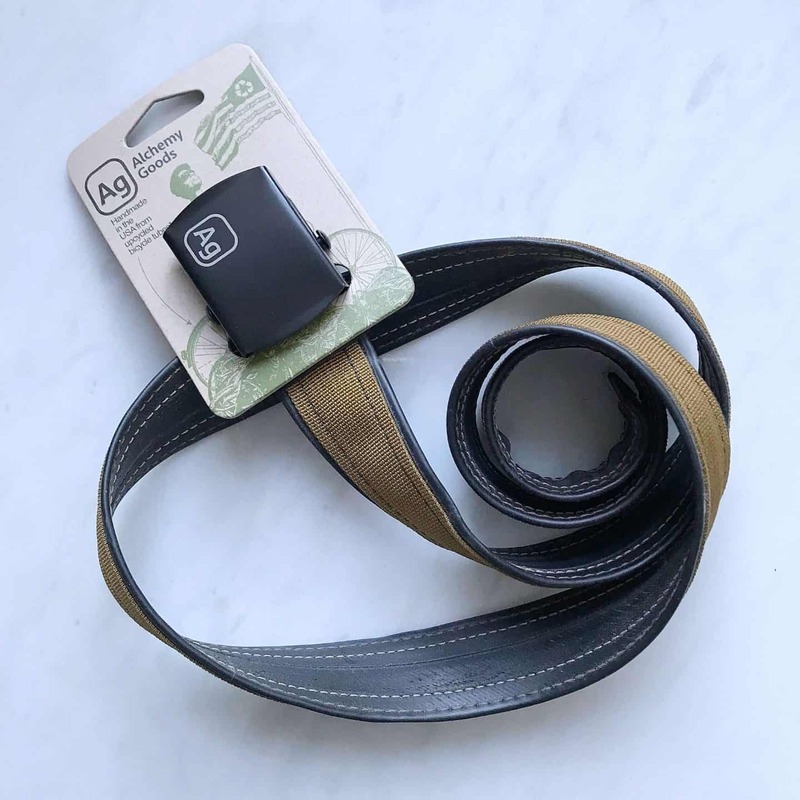 About the maker: Both the belt and wallet are made by avid cyclist Eli Reich, who made his first recycled bag after his own messenger bag was stolen. 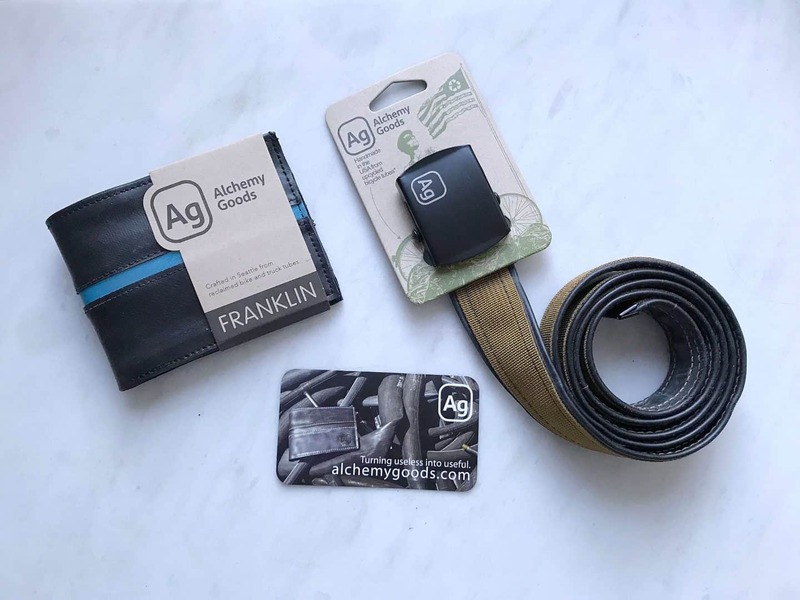 He was able to quit his job and now makes inner tubes into sustainably produces bags and accessories. 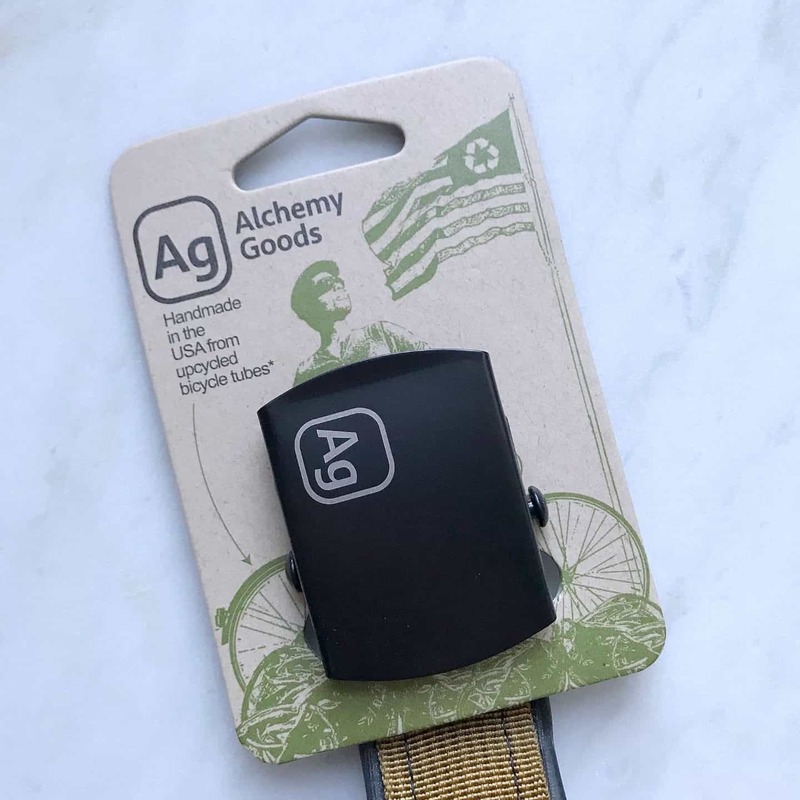 Alchemy Goods have a goal of up cycling a million tubes – wouldn’t it be amazing to save that many tubes from landfill? I was slightly worried they might smell of rubber, but I’m pleased to say they don’t smell at all, and they look very stylish. The wallet is made for U.S money so our £20 note does peek out slightly, but our ew £5 and £10 notes fit very well. 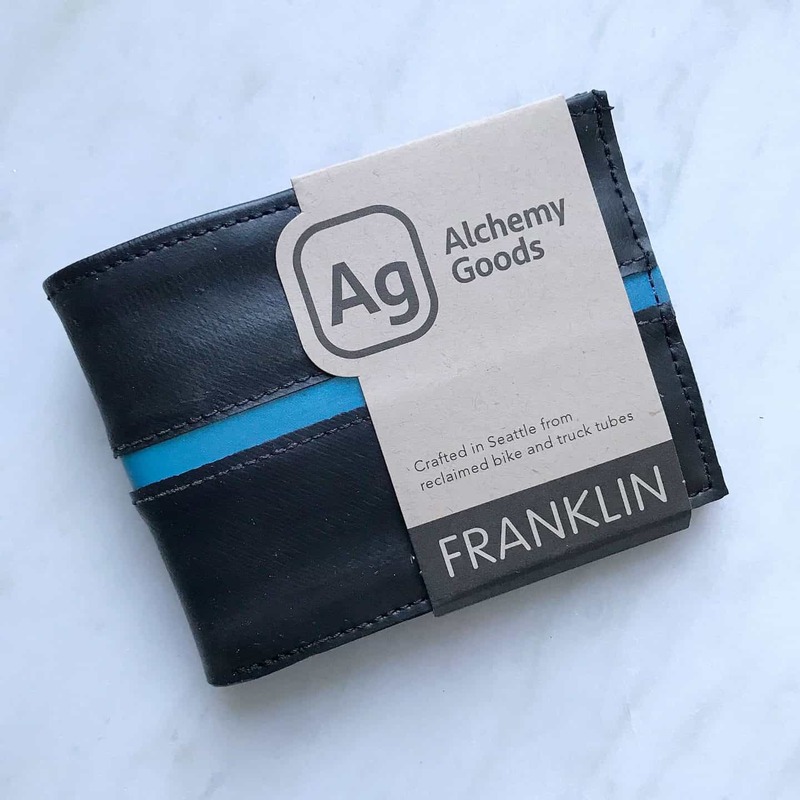 These were the two men’s ethical gifts that jumped out to me, but there are plenty more unique gift ideas for the men in your life. 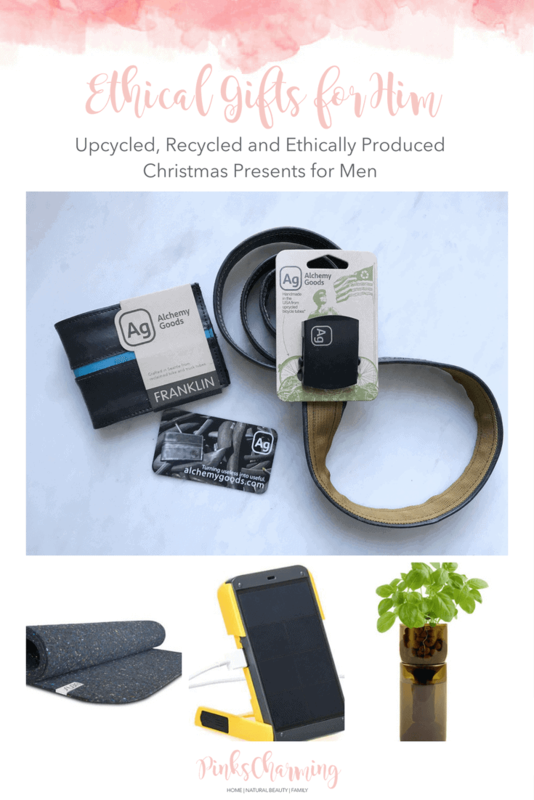 So here is my roundup of the best of the rest ethical gifts for him. 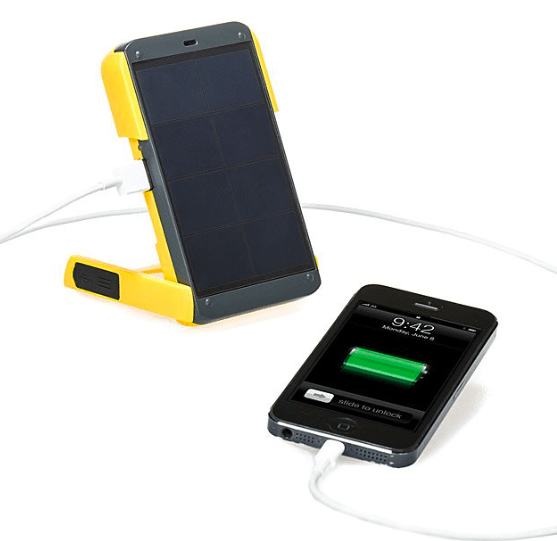 For the festival fanatic, what about a solar powered charger and light, which is made from recycled plastic, with an LED light. Plus, for each solar charger bought, a light is given to one of the many people throughout the world without access to electricity. 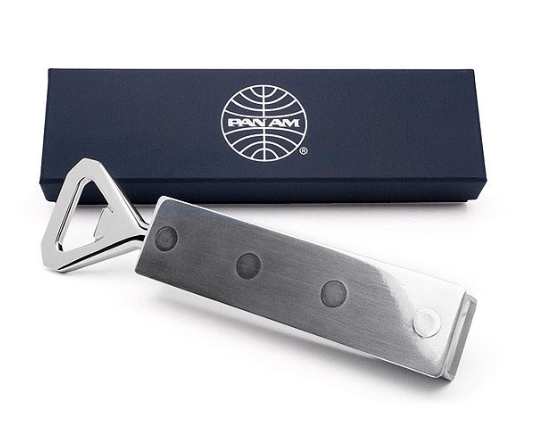 A beer lover might like a bottle opener crafted from the fuselage top of a Pan Am Boeing 707 – presumably decommissioned! Handmade in Berkeley, CA. 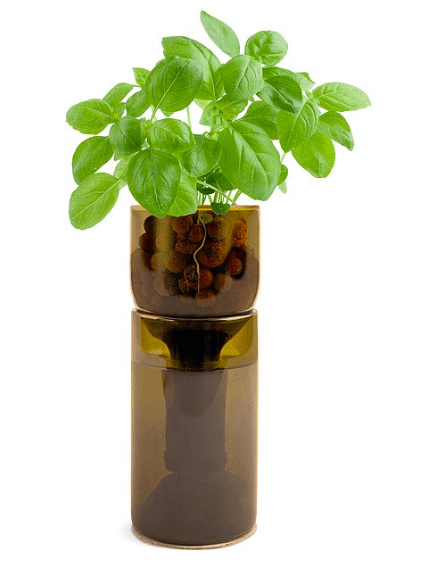 What about a hydrogarden made from a reclaimed wine bottle? It’s the ideal environment for growing herbs. 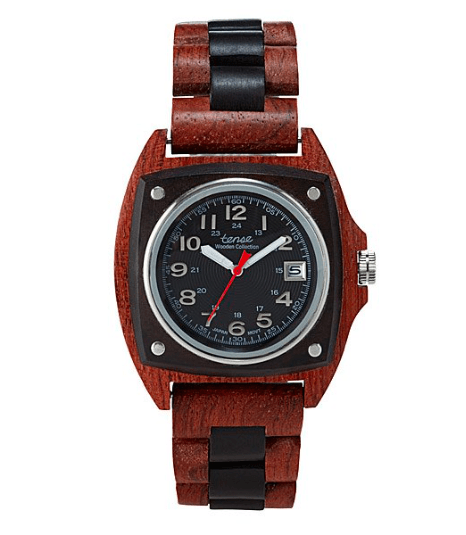 This watch is made from reclaimed and recycled wood, and is so unusual. For the fitness fanatic, how about a yoga mat made from recycled neoprene wetsuits? Looking for ethical gifts for her? My natural beauty gift guide has loads of tried and tested green make-up which would make perfect presents. Why not Pin this ethical gift guide for later? Some great ideas here! I always find the men in my family hard to buy for! 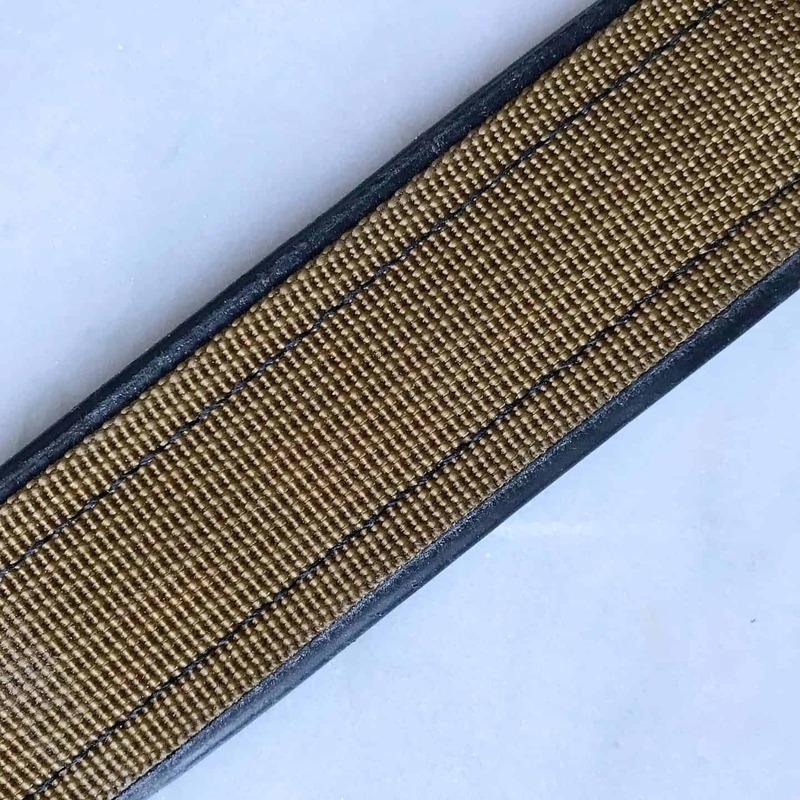 I love the fact the belt is made from recycled bike tube. Love the belt! My husband loves cycling so I love the fact it’s recycled but also from something he enjoys as a hobby. Some really cool ideas! 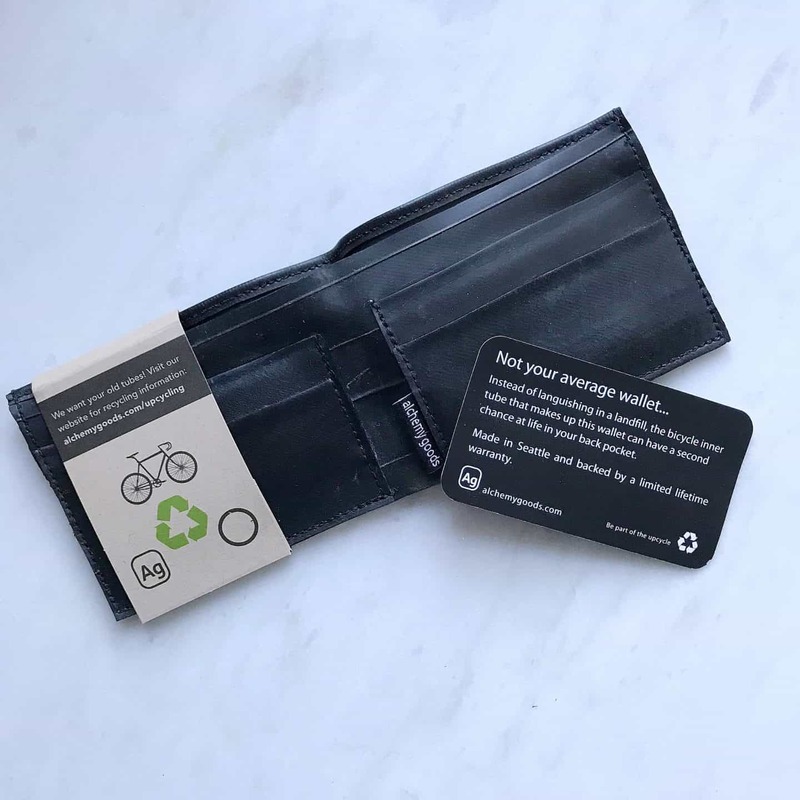 Love the idea of the recycled inner tube wallet I think my husband would really appreciate that. Great ideas!